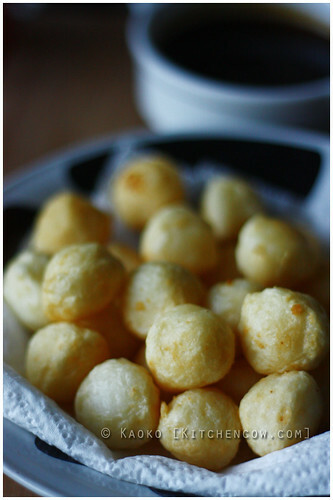 When it comes to street food, my all-time favorites are fishballs and squidballs. 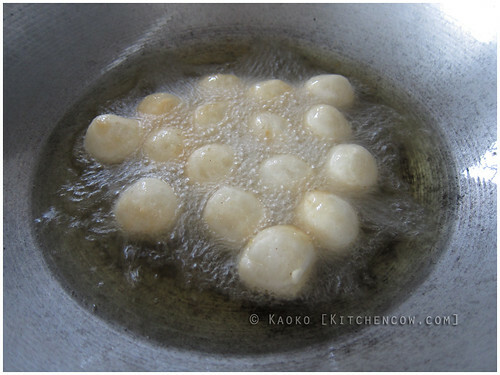 The ritual of chasing after slowly-cooking balls of dough and fish and squid as they float and puff up in a vat of hot oil, much like a fisherman harpooning fish in a lake, is priceless. Armed with just a sharpened barbecue stick, you and the other buyers wonder if a ball is cooked enough as you crowd around the cart, ready to pounce. The battle isn’t over until you’ve managed to spear enough to complete your purchase, then it’s off to the sauce (No double dipping please!) before enjoying your catch. We ignore the repeat warnings from our parents about how dirty street food is. 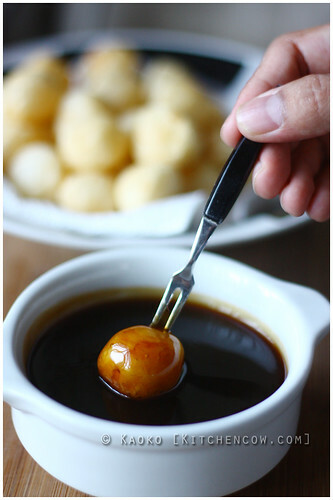 Fishballs and squidballs are just too yummy that we throw caution to the wind and continue enjoying them, Hepa B threats be damned. Of course, when you’re not in close proximity to Manong Fishball’s street cart (or have super strict parents), the most you can do is to bring the experience home by buying frozen, ready-to-fry fish and squidballs. This is the easy part. The hard part, is mastering the sauce. After much experimentation, I found one that my family has deemed worthy. I hope your families do so, too. But while it approximates the yummy fare, unfortunately, the tusok-tusok experience, is one that simply cannot be replicated. Pour into a saucepan, then heat over medium until it thickens and turns translucent. 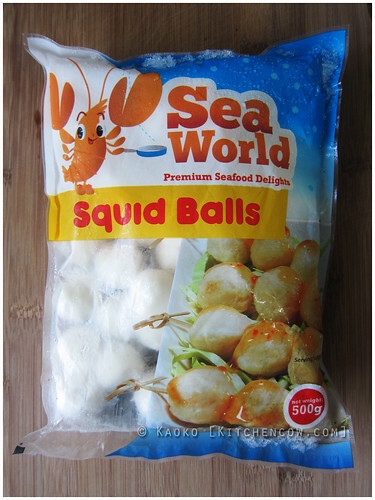 Enjoy with freshly fried squid or fishballs. Fishball! One’s childhood never seems complete without it. 😀 There was a time when my dad ventured to sell these, and we had a few carts roaming the streets of our neighborhood. Kaso lugi, kasi ang takaw namin ng brother ko haha. will try this saucy recipe. thanks for sharing!